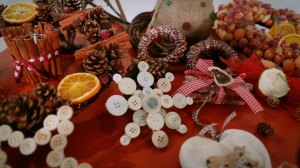 Make Christmas more personal this year by making your own beautiful decorations, cards and gifts. Homemade gifts for Christmas are great. 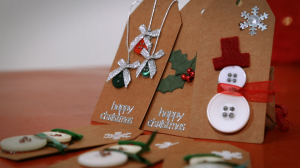 Save money and add meaning by making your own cards and gifts. It’s easier than you think to be creative and enjoyable to. All you need is a glue gun and a choice of coloured glue sticks, glitter glue sticks, clear glue sticks, low melt glue sticks or multi-temperature glue sticks and let your imagination run wild. 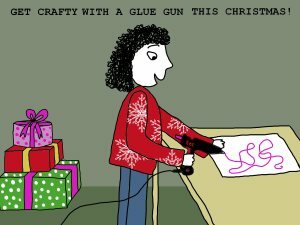 Use the glue to stick materials together, to decorate, add colour or transform an item. Designs are unlimited with Tecbond glue sticks ! If your Christmas list is starting to look like a telephone book, it’s time to consider making your own gifts……. !